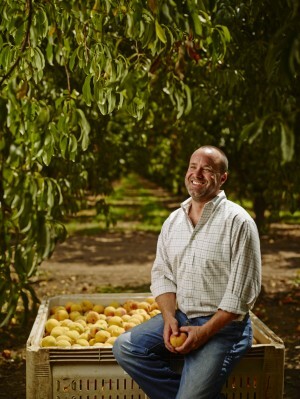 Although Anthony Laney started farming his 52-acre orchard of Cling Peaches in 2003, this fourth-generation farmer has had agriculture running through his veins his whole life! With both his father’s and his mother’s sides of the family involved in agriculture dating back to the early 1900’s, Laney couldn’t resist his calling in Sutter County after graduating from Santa Clara University and working for a short while in the Bay Area as a Marketing Manager in the financial and software industries. After his late grandfather presented him with the opportunity to join the family business, Laney immediately jumped at the chance. Laney contributes his farming career to his grandfather and says, although he had always wanted to get into the farming business, he probably wouldn’t have done so without the help of his grandfather. Laney’s great-uncle began farming in Sutter County in the early 1900’s, later encouraging Laney’s grandfather and uncles to join him in the 1940’s. 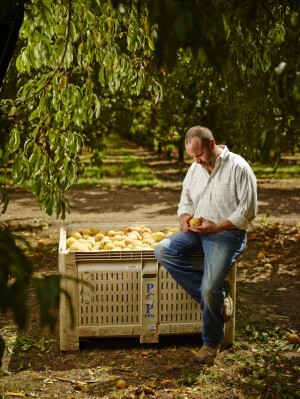 Laney’s family officially imprinted their name on the history of farming when his grandfather and two uncles started Micheli Brothers, producing peaches, prunes, walnuts and pears. Micheli Brothers also operates the Lomo Receiving Station, which is still family-run to this day and is one of the largest peach receiving stations in the state. When prompted to describe the role of a peach grower in California, Laney responded that a peach grower must always continue to produce high quality products for the consumers. In order to do this, Laney strongly believes that farmers must take care of the environment in which they grow and harvest their crop. “As stewards of the land, we need to continue to implement the best farming practices to ensure a stable and high-quality food supply while protecting the environment we live in,” stresses Laney. Although there are many positive sides to farming, there will always be obstacles. 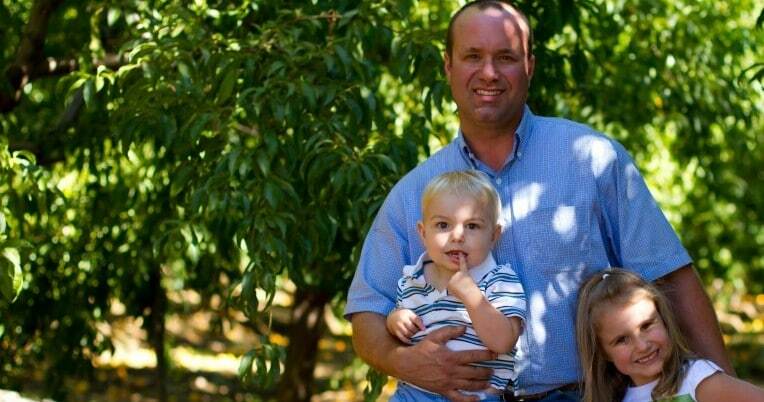 Laney believes the biggest threat to growers right now is the ongoing labor dilemma. Laney believes the U.S. must come up with a solution that meets the needs of employers while also allowing the laborers to fill the workforce shortages to sustain a healthier farming business and culture. Laney, a California native, is a strong supporter of the state’s “Buy California” campaign and of the “Buy American” provision which is a part of the National School Lunch Act. “The United States has the safest food supply in the world, no question. 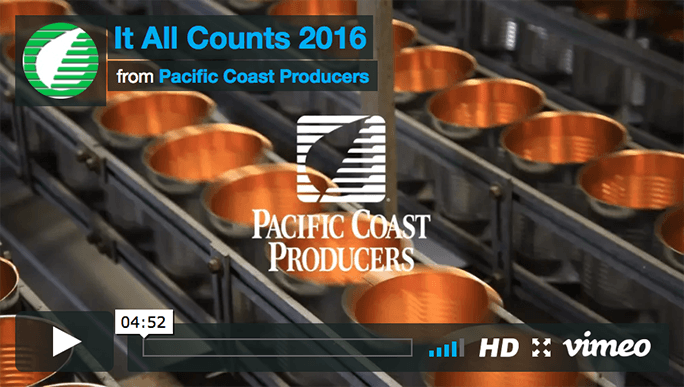 This is no small feat considering we are the largest agricultural producer in the world. It’s important to our country to have a safe and reliable food supply. We are not reliant on other countries to feed our nation and we continue to raise the bar on food safety. We lead the world in food safety and hope other countries aspire to meet our high standards of protecting the consumer,” notes Laney. “For all of these reasons and 100 more, it is so important that schools and consumers support US-grown products. Please check your labels—if it’s from China it will say so, although the print may be quite small. Moms, please ask your supermarket buyer to only purchase US canned tomatoes and fruit. 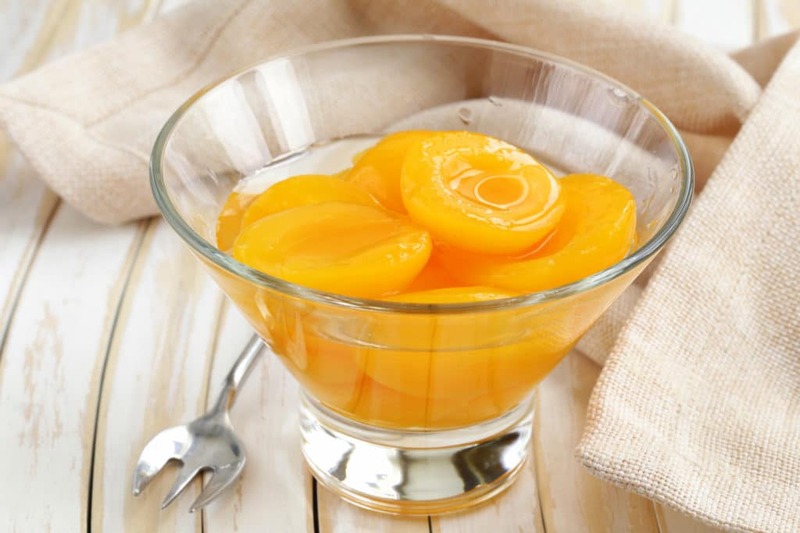 Chefs, please speak with your distributor or broker and make sure that the products you buy for your restaurant—peaches, pears, apricots, grapes, etc.—are fruits from our good ol’ USA.” And Laney has an additional message to school foodservice directors for their continued support on behalf of the peach growers of California. “We thank you for using our peaches in your lunches everyday. Peach growers are proud to know peaches are a healthy and nutritious staple of our children’s lives,” states Laney. 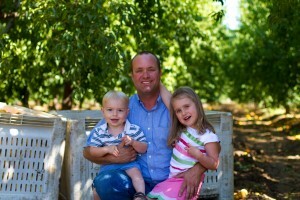 Laney currently lives in Yuba City with his wife Melissa, daughter, Sofia and their son, Jack.